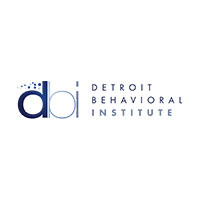 Detroit Therapist: Detroit Behavioral Institute - Therapist 48207. Send A Message To Detroit Behavioral Institute. When a teen or adolescent’s life is disrupted by the onset of a mental or behavioral health concern, he or she will require professional help that reflects the unique developmental needs of a young person in the learning environment. At Detroit Behavioral Institute – Capstone Academy (DBI-CA), youth benefit from a balanced academic and structured therapeutic program that provides the ideal setting for healing and growth to occur. At DBI-CA, each child will receive an individualized curricular plan that is comprised of interventions and accommodations delivered by a staff of highly skilled and compassionate educational and mental health professionals. Discipline is important but support is bountiful at Capstone. The behavioral expectations are high for all students, and limit-setting, appropriate boundaries, and natural consequences are a part of daily life at this academy. The staff at Detroit Behavioral Institute – Capstone Academy works with patients and families to identify the scope of the patient’s presenting concerns, and to address the unique ways that symptoms are manifesting in the young person’s life. Together, they work to help students overcome whatever emotional or behavioral barriers they have been struggling with that have prevented them from being successful and from accessing their education. But no matter the presenting concern, DBI-CA views each teen or adolescent as more than just the sum of his or her symptoms or diagnosis. Each young person is capable of learning, growing, of overcoming issues of the past, and that they are all deserving of a happy, healthy lives. With these guiding principles, programming at DBI-CA is intended to provide youth who have been unsuccessful in the traditional educational environment with a stable learning setting where they can meet and exceed their academic goals while receiving wraparound support. With the help of various mental and behavioral health interventions, the young people who are enrolled at DBI-CA learn new, healthier ways of coping with stress, more appropriate ways of managing their behaviors, and increase their ability to form meaningful relationships with peers and adults alike. At Detroit Behavioral Institute – Capstone Academy, learning is paramount, and students’ treatment goals are balanced with academic goals so that young learners can continue to make the academic gains necessary for future achievement. With a balance of structure, discipline, encouragement, and multifaceted support, programming at DBI-CA helps teens and adolescents manage their symptoms and find success in the educational environment.